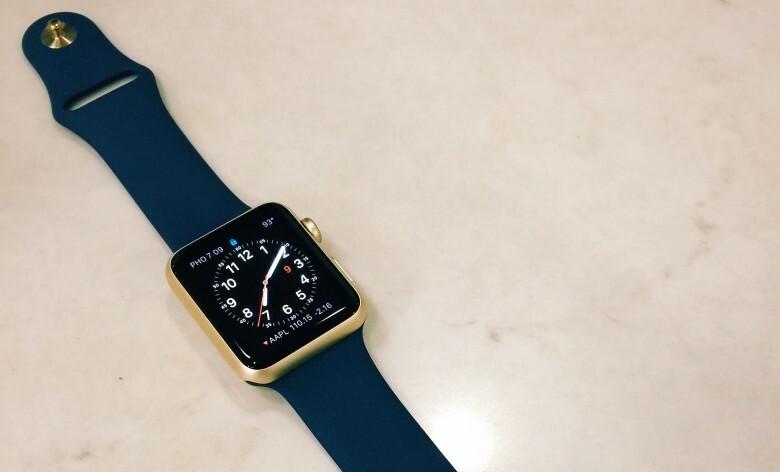 The gold Apple Watch looks great with a navy band. Apple fans can’t purchase the iPhone 6s, Apple TV, or iPad Pro that were unveiled yesterday, but if you’re lucky you can pick up the cheap gold Apple Watch Sport today, now that Apple Stores have received limited supplies of new units. 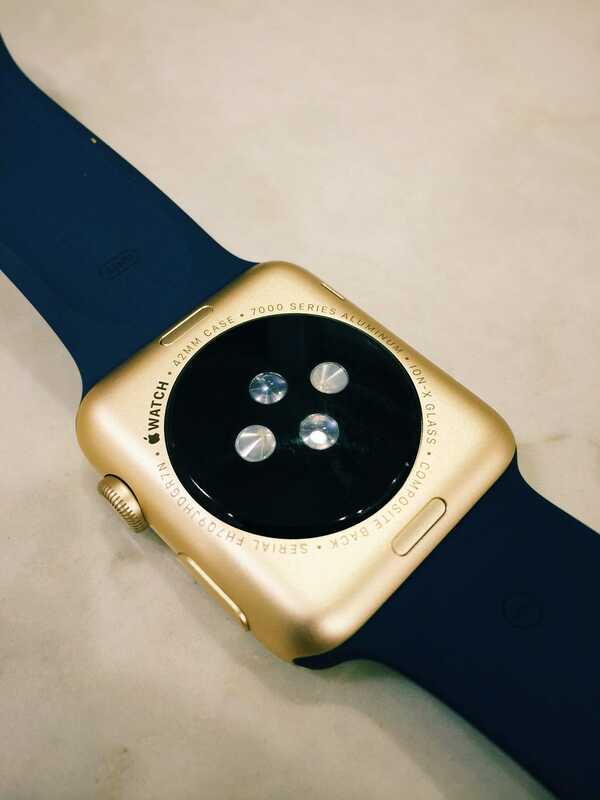 Cult of Mac got an early look at the new gold finish thanks to a reader who already scooped up a 42mm gold Apple Watch Sport at the Apple Store in Gilbert, Arizona, and while the new model is way cheaper than its expensive Edition sibling, it still looks like a million bucks. The new gold finish comes with four sport band color options: lavender, stone, antique white, and midnight blue. 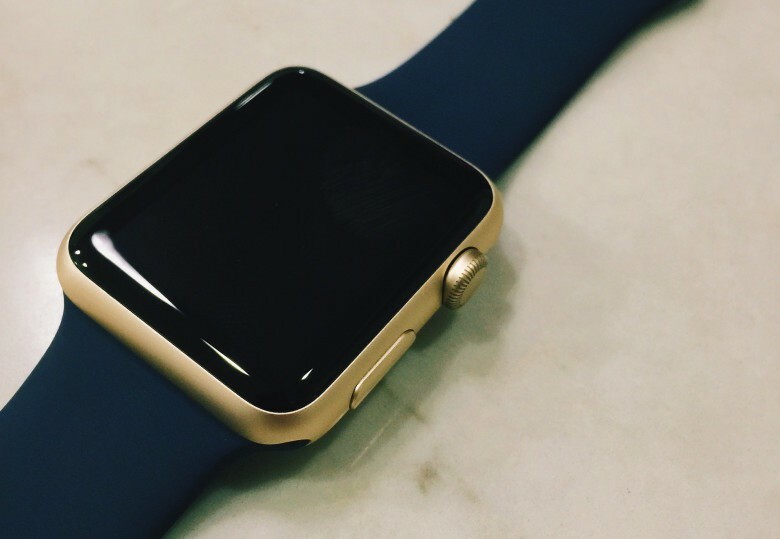 Our friend Blake Kimball chose the midnight blue option because he previously owned the stainless steel Apple Watch with navy leather loop. The back of the gold Apple Watch Sport is identical to the other models. Instead of using sapphire glass for the front like the Edition, it utilizes Ion-X glass with a composite ceramic back.